THERE IS NO NEED TO WORRY ABOUT SHIFTING GEARS. 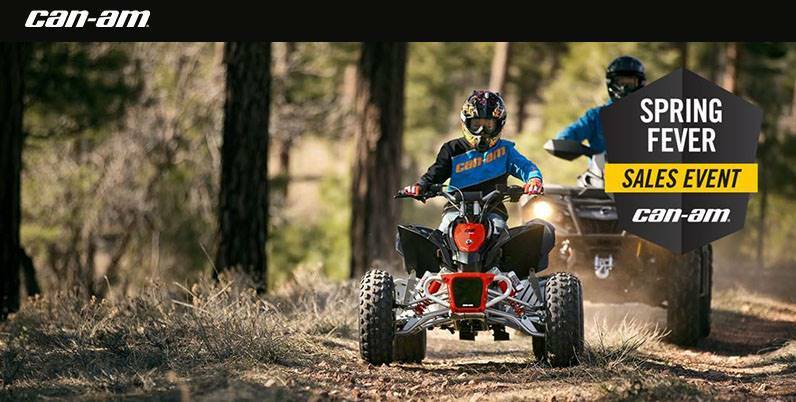 We take great pride in making sure young riders have the best vehicles to practice their off-road skills. 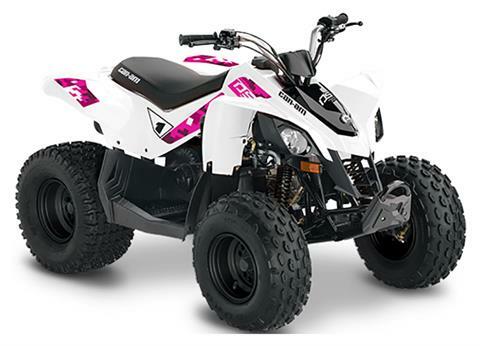 Complete with neutral, reverse lights and a built-in throttle limiter, young riders get an authentic riding experience and parents have control. 4-STROKE SINGLE CYCLINDER ENGINE: The 4-stroke engine design makes it easy-to-maintain, reliable and efficient. FULLY AUTOMATIC CONTINUOUSLY VARIABLE TRANSMISSION (CVT): Continuously Variable Transmission means the drive shaft is always in the right gear. And with forward-neutral-reverse capability, it keeps kids from worrying about shifting gears or getting off the vehicle to go in reverse. ELECTRIC START WITH BACKUP KICK-START: Get going quicker with the convenient push-button electric start, or get started with the traditional kick-start. BUILT-IN THROTTLE LIMITER: Built-in throttle limiter so parents can keep their child's speed under control.